Maintenance, planned maintenance, reactive maintenance, safety inspections, fixings upgrade, sub fascia work, emergency response, LED, fluorescent, neon, cold cathode, cleaning, repair, replacement, temporary sign, banners, pest protection, vinyl, manifestations, petrol forecourt, poster display, time clocks, asset tagging, asset register, sign removal, sign disposal. 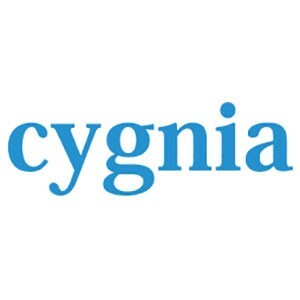 Cygnia are the UK’s largest provider of specialist signage maintenance, repair, and energy saving services to retail and commercial property sectors, with over 20 years of trading experience behind us, we have developed a portfolio of market leading maintenance programmes, repair processes and energy saving solutions. We offer anything from 1-2hr emergency response through to 4 visit fully comprehensive contracts (and a multitude of combinations in between). Critically, we engage with each client to assess their estate and tailor a solution that best suits their needs and budgets. We are trusted to maintain the corporate image of many big name retail businesses, and deliver all works via our directly employed labour force. We have over 80 employees all of whom are dedicated to providing all clients with unrivalled levels of coverage, response and quality on a national basis. Cygnia now operate as a wholly owned subsidiary of Blaze Signs Holdings Ltd, along with an associate business , Blaze Signs Ltd . The combined offering of Cygnia and Blaze provide a unique combination of offerings to any prospective client, with a complete spectrum of signage related services available. From a design suite that sympathetically integrates designs into localised aesthetics and architecture, project management services, planning consent services, specification advice, detailed surveying and drawing services, tailored reactive and planned maintenance services, signage removal and recycling, energy reduction, signage installation, fast track roll out programmes, high level works and much ,much more….